Here is an article from the Riviera Maya Times which is a sister publication of the Yucatan Times. I am also writing and sharing some of my articles with this publication also. 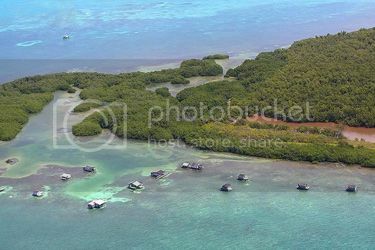 This article talks about all the people in the USA who are interested in living in Quintana Roo. This article even mentions Mahahual as a place where expats are choosing to live. CANCUN — Since 2014 at least two thousand U.S. citizens have applied for permanent residence in Quintana Roo, joining the nearly seven thousand who were already legally living in the state. It is estimated that at least another four thousand Americans are temporarily living at the state, according to data from the National Institute of Migration (INM), which detailed that Quintana Roo is the fifth state with the greatest number of North American inhabitants at the national level, behind Jalisco, State of Mexico, Baja California Sur and Guanajuato. 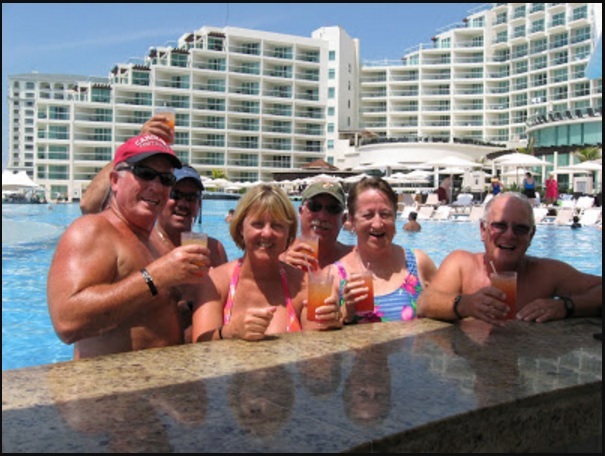 According to the INM, the largest number of American citizens residing in Quintana Roo are concentrated in Cancun, Puerto Morelos, Playa del Carmen, Mahahual and Akumal, the majority being citizens over 50, who are in semi-retirement, although the number of Americans who are in active labor sectors is rising from 2010 to date. It is estimated that during 2010 there were at least 890 Americans working in some productive sector in Quintana Roo, but the figure increased to 1,400 by 2015, and it is estimated that by 2017 they could reach 1,500. The INM headquarters in Mexico reported that after the inauguration of Donald Trump on January 20 of this year, the arrival of Americans who applied for a residence permit in Mexico increased by 15 to 20 percent, compared to 2016. For example, last year, 1,900 applications were filed nationwide in February, many of them backlogged since 2015, but this year there are already at least 2,150 applications for permanent residence. Gabriel Campos López, a real estate agent in Cancun, said that the destination has all the elements that appeal to Americans, including its landscapes, the great purchasing power they have with the conversion of dollars, climate, infrastructure and the air connectivity, which has allowed this area to have greater American population each year, distributed between Quintana Roo and Yucatan. In addition to that, real estate development has high surplus value between diverse American sectors. From 2014 to 2016, the Mexican government authorized 72,140 Americans to remain temporarily or permanently in the country. Each year, on average, 24,000 residence cards were issued. The main destinations were Jalisco, Mexico City, Baja California, Baja California Sur, Quintana Roo and Guanajuato. Three-fifths (46,336) of the total authorizations issued by Mexico in that period were for one of these places. 30% of the applicants (around 23,613 Americans) decided to extend their stay in Mexico for more than a year. This means that their permit has the permanent seal.”These immigrants are characterized by being at an age that allows them to enjoy free time and economic resources outside their country of origin,” explains Omar Lizarraga, a professor of United States and Canada Studies at the Autonomous University of Sinaloa. The highest number of applications was registered in 2014: 29,286 Americans obtained a permit to remain in Mexico. One out of three (9,622) were residence cards.